When it comes to Special Education, your role as a teacher won’t just make you an educator — it will make you an advocate. 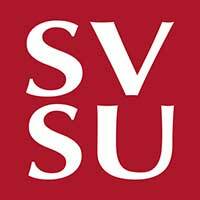 At SVSU, we offer you the most passionate and dedicated faculty to equip you not only to engage students with unique needs, but to believe in them wholeheartedly. Whether you are wired for a sphere of traditional learning or want to shift educational policy at the national level, your story as an educator starts at SVSU. Here, your coursework will include a variety of fieldwork experiences so you can enter any special needs context with confidence. Join the Cardinals and apply today. Rebecca Meredith chose SVSU for the opportunities the university provided to serve a population she loves both within and beyond the classroom. A student leader with Special Olympics, Meredith has learned that making a difference for individuals with unique needs doesn’t start when she graduates — it started the moment she walked on campus. In addition to her volunteering, Meredith brings academic excellence to her studies and a thirst for adventure: studying abroad in China and Italy as well as participating in numerous alternative break trips through the university. With each new travel experience, Meredith seeks to apply the lessons she’s learned within the Cardinal community back home. If you feel a passion for students in need of special education, SVSU provides you with two degree options based on the age group you desire to teach: elementary, secondary or adults. 1) Elementary: Pursue a degree in elementary education, with a concentration in special education. 2 Secondary/ adults: Major in secondary education. Your degree will include courses addressing basic skills requirements, General Education requirements, Special Education requirements as well as professional studies courses. Once you have completed your course load, you will engage in both observational and teaching time in the classroom. Explore more degree specifics by clicking the button below. SVSU proudly hosts a student chapter supporting Special Olympics (appropriately named Cardinals for Special Olympics) and many of our students choose to participate in SVSU’s Student Council for Exceptional Children, which welcomes advocates, professionals and students themselves to speak about children with a range of disabilities. These campus organizations are available to all students — not just education majors — because SVSU fosters a supportive environment for every Cardinal to provide encouragement and support for those who have special needs. Cardinals are honored to support our future educators. That’s why every year SVSU awards education students with college specific scholarships. After you are accepted to the College of Education as a sophomore, you can submit SVSU’s General Scholarship Application to get considered for these awards. Special Education majors can choose to receive specialized endorsements in three areas. These specialties engage a set of skills from classroom management, to assessment and sharing knowledge of resources available for students and their families. SVSU prepares each student to enter the field as an educator by advising with regard to your certification with the State of Michigan. For additional details on pursuing the Michigan Test for Teacher Certification (M.T.T.C) in your content areas of study, read more. The Master of Arts in Teaching degree in Special Education consists of a core of 37 credits of graduate level courses. Individuals may complete a general master’s degree in Special Education or choose a master’s degree with an emphasis in Autism Spectrum Disorder (ASD), Cognitive Impairment (CI), or Learning Disabilities (LD). Individuals with a bachelor’s degree or higher and are seeking a career in teaching may obtain teaching credentials in elementary or secondary education with a focus in Autism Spectrum Disorder (ASD) or Cognitive Impairment (CI). The main goal of the administrative programs at SVSU is to prepare highly qualified leaders. SVSU offers two leadership programs specific to special education: Supervisor and Director. Nearly 100 percent of SVSU’s Special Education students find immediate employment within a school district after graduation, and 100 percent of our early childhood education graduates can say the same. When it comes to teaching certification and preparation, SVSU’s focus on field placement and practical experience puts our students far ahead of the competition. Together, Cardinals soar. If you are interested in soaring beyond the special education classroom, consult SVSU’s full list of career directions and possibilities. SVSU’s Collaborative of Ingenuity and Discovery through Education, Alliances and Scholarship (C of IDEAS) serves as an interdisciplinary partnership of individuals with disabilities, family members, educators, community organization representatives and faculty and staff from various institutions of higher education. C of IDEAS was founded by Dorothy Millar, an SVSU professor who is passionate about enhancing the learning and opportunities available to those with disabilities. To that end, this collaborative sharpens community understanding and awareness, pursues improvements to existing disability services and aids in the development of learning modes to serve diverse needs. Round out your SVSU education experience by joining in this unique university venture.